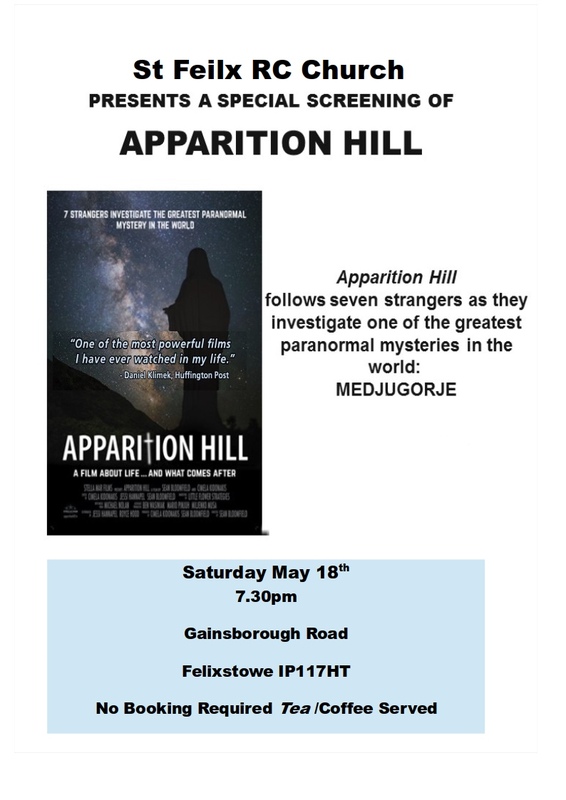 Coming up on Saturday 18th May, your chance to see the award-winning documentary film about Medjugorje. Seven strangers investigate reports of miracles and supernatural phenomena in Medjugorje, Bosnia-Herzegovina, where locals say the Virgin Mary has been appearing since 1981. Daniel Klimek of the Huffington Post wrote "One of the most powerful films I have ever watched in my life". The film will be shown at St Felix Church, Gainsborough Road, Felixstowe, IP11 7HT, at 7:30 pm. Teas/coffee will be served. All welcome, no booking necessary – just turn up on the night.